ali is a new contributor to this site. Take care in asking for clarification, commenting, and answering. Check out our Code of Conduct. 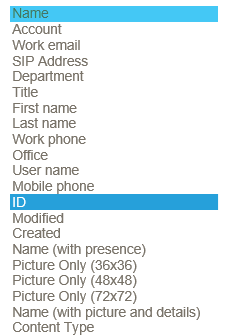 1)create new column where you can store Id of created by. 2)now apply workflow on that list 3)in that workflow set the value new column field to Id of created by. Let me know if any issue form. Out of the box this is not possible, but here is a workaround. Create a new People Picker or Text column into the list. Create a SharePoint Designer workflow and trigger it when new item is added. In Workflow, update the same item and set the ID of the created by field to the newly created column. Let me know if you need any more detailed information. ali is a new contributor. Be nice, and check out our Code of Conduct. Not the answer you're looking for? Browse other questions tagged 2013 sharepoint-enterprise people-picker person-or-group or ask your own question. Display results sorted by name in SharePoint 2007 people picker?